We are teaming up with catering students at Bournemouth and Poole College to provide a unique Dining in The Dark experience at Escoffier Restaurant and Coastline Brassiere on Thursday 21st March. Our exclusive event is returning for its third year and offers an exciting opportunity to test the senses with an indulgent six-course meal in very low light conditions, which aims to simulate dining with a visual impairment. 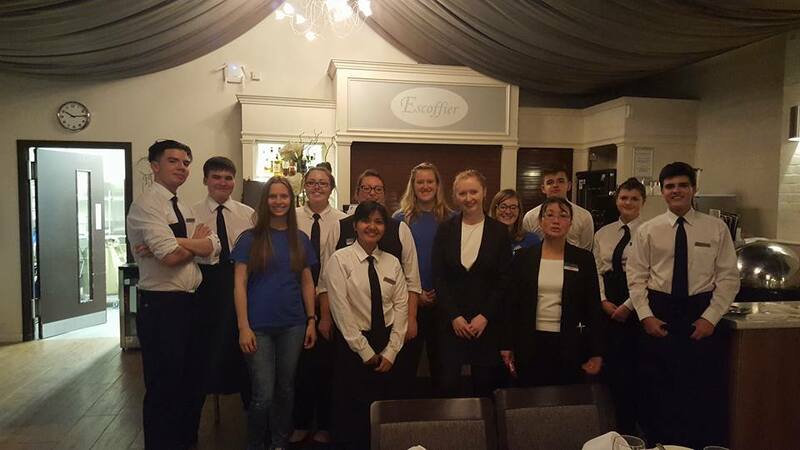 Guests will be treated to a surprise six-course meal with the opportunity to enhance their dining experience by being completely blindfolded, to experience something near what it’s like for people with total sight loss. The novel fundraiser was successful in its previous years, and has been brought back by Dorset Blind Association to celebrate its 100th year of serving the community. Tickets for this special event are £37.50 per person and should be booked in advance. Arrivals from 6:30pm to be seated by 7:00pm; the evening should finish by 9:30pm. Upon booking, please advise of any dietary requirements. For more information or to book over the phone call Gareth on 01202 712864 or email gareth@dorsetblind.org.uk.